LIMON, COLO – River Bend Ranch, LLC, Limon, Colo., has recently welcomed Jared Forgey to the ranch management team as intern for the upcoming summer. Forgey, a native of Flora, Ind., will be junior in Animal Sciences with a concentration in livestock production at Purdue University, West Lafayette, Ind., this coming fall. Forgey spent the previous summer at the Colorado State University Beef Improvement Center at One Bar Eleven Ranch, Saratoga, Wyo., and worked part-time during the school year at the Purdue University Beef Unit caring for cattle used for teaching and research. As the fifth-generation in his family to work with cattle, his experience of working with cattle originated in his involvement with 4-H. The ranch management internship is aimed to work with college students seeking real-world experience on a working cattle ranch. Interns learn about animal care and handling, record-keeping, tracking pasture health and holistic grazing management, equipment maintenance and synchronized artificial insemination. This is the fourth year for the internship program run by River Bend Ranch, LLC. River Bend Ranch, LLC, is owned and managed by Joe and Cindy Frasier located west of Limon, Colo. For over 30 years, River Bend Ranch, LLC has raised cattle and three children, all who are involved with the ranch. 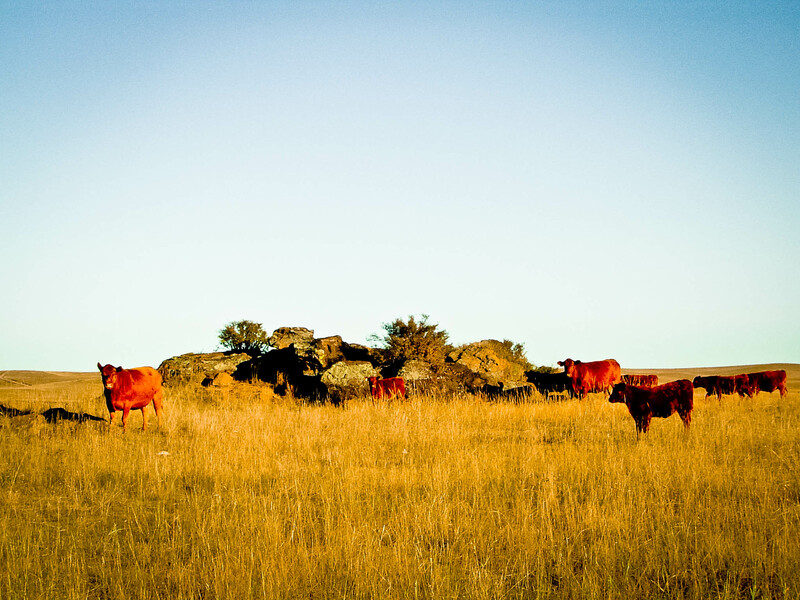 The family also operates Solid Rock Red Angus, a seedstock Red Angus operation. Find out more at www.SolidRockRedAngus.com.